MORGANTOWN, W.V. — I did a study about five years ago when I was coaching at TCU that deals with what I believe is the biggest issue facing college baseball today. We are in an NCAA sanctioned sport that is literally unfair for half of the country (the “northern” half). The frustrating part is that everyone acknowledges it, yet we fail to push the issue as far as it needs to be. Every time I go to a minor league game in the summer and see thousands upon thousands of fans in attendance, or go to a college game in early spring and see just a few hundred fans (a lot of times less than that), it is a blatant reminder that we should be playing in the summer and attracting more fans than a minor league team does. I don’t think any of us would argue that the college game is more exciting than a minor league game. Yet the majority of programs in the nation get outdrawn by the closest minor league team to them geographically. Most programs get outdrawn by two to five times the amount of fans, sometimes more. Here are some interesting facts from the first two weeks of the 2014 season so far: The “northern” schools’ record against the “southern” schools is 49-80, and there have been 64 games cancelled. On the Tuesday and Wednesday after opening weekend, only 23 northern teams even played a midweek game while 134 southern teams played a midweek game. 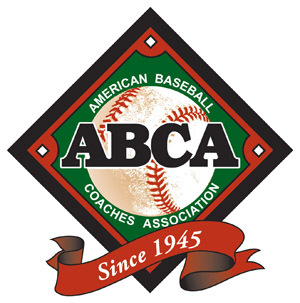 Collegiate Baseball reported that after the first three weeks of the NCAA Division I season, 285 games were either cancelled or postponed on this level. Maybe the most telling statistic is that in the NCAA tournament in 2013, there were 30 automatic bids and 34 at large bids. Northern schools only got 7 at large bids, 27 for the south. While the NCAA RPI adjustment helped some, it was just a band aid masking the underlying issue. The fact remains that even with the RPI adjustment, northern schools just aren’t winning those early games to make it fair. Part of the reason that the northern schools don’t have that early season success is that we do not get to practice outside before the season begins. I know at West Virginia, the first time we took ground balls on dirt this year was 30 minutes prior to our first game. Could you imagine what the basketball coach at your school would do if his team never set foot on a basketball court prior to their first game? How about your football coach never getting on the football field to practice? Talk about an outcry. That would never be acceptable to them. So why is it acceptable to us? I have yet to have anyone tell me a valid reason why we don’t move college baseball to the summer. I also have yet to hear anyone say that the college baseball model is fair for everyone. In this article, I will show that schools will benefit financially, academically, socially and athletically. Yet it never gets discussed much. I’m afraid the reason is that the schools from the south do not want to give up what is an obvious competitive advantage they have over northern schools. So if a conference from the north wants to propose a new schedule change, the southern conferences (the more powerful ones in baseball) would never even consider it. Imagine if we played in the summer and had an equal playing field for all Division I schools. More northern schools would fully fund their programs, and better facilities would have to be built as college baseball became fair for everyone. Imagine if you would, your school, whether north or south, playing your rival school on the 4th of July weekend instead of in March (raises an interesting facility issue). If a change to playing in the summer were to ever happen, it would have to come from the coaches of the northern and southern schools who are willing to do what is best for college baseball as a whole, not what is best for their particular institution. All I ask is that you do what is best for our sport, not what is best for your school. If our sport is going to progress that is what it will take. When I proposed this study to the Big 12 coaches at our coaches meeting in November, only one school voted against it and I’m not sure they read the proposal. If we were to make a stand and the change did occur, fast forward 5 years into the future and college baseball would be at an all time high, regardless of which balls we use or when the quiet period falls. I would venture a guess that most of the facilities that we currently play in would not be large enough to handle the increase in attendance that we would see. There would obviously be some issues that would need to be worked through, but isn’t that always the case when change occurs? Global warming has accelerated over the past 10 years to the point where the world’s climates have been completely reversed. What used to be warm weather climates are now cold weather climates and vice versa. The question becomes, how would college coaches vote on the issues surrounding college baseball if their weather situation was reversed? What if 90 percent of the field in the College World Series was comprised of northern teams? If the teams in the southern part of the country couldn’t get outside to practice one time before the season started? If the southern teams had to play their first 15-20 games on the road to insure good weather? If the administration of the southern schools wouldn’t be willing to invest significant amounts of money into the program and facilities because they get little to no revenue in return? If the 10 best high school players in each of the southern states felt like to play at the highest level of college baseball they had to go north to play where it was warm? Again, the question becomes, would colleges coaches vote on the issues the same way they do now? Are they really interested in the best interest of college baseball or are they more interested in keeping their competitive advantage? Of course, that is completely hypothetical. Or is it? Do the coaches of the warm weather, southern schools have any reason to change the state of college baseball as it is right now? Let’s take an interesting look at some facts and a potential solution that would make college baseball fair for all teams participating, regardless of their latitude and longitude. In addition, each Big Ten team’s attendance at home games is compared to the home attendance to their closest (geographical) minor league team. What do these figures mean? Is Minor League Baseball (regardless of the level) a better product than college baseball? Or are the larger crowds/better facilities/more revenue simply a byproduct of the time of the year that it is played? Let’s examine the typical baseball fan at each of these games. A baseball fan attends a baseball game for one of a few reasons. Either they are friends or family members of the players in the game, they have loyalty to the team (or school) that is playing, or they are there because it is a “fun” atmosphere. There really is no other reason why someone would go to a baseball game. Let’s examine the demographic of the college baseball fan versus the minor league baseball fan. Conservatively, 80 percent of fans at a college baseball game are there because they know the players or they are loyal to the team in the game. The number of fans who attend a college baseball game because of the “fun” experience is estimated at 20 percent (which is probably a really high estimate). The student turnout at a college baseball game is included in the 20 percent. Early in the year when the weather is still cold (especially for teams above the line), the games are usually played in the afternoon ( too cold to play at night), half of which are on weekdays (usually Tuesday or Wednesday and Friday). It is really difficult to create that “fun” atmosphere at a college baseball game that starts on a Wednesday afternoon at 3 p.m. when the wind chill is below 50 degrees. Furthermore, by the time the weather does warm up to the point where you can create that “fun” atmosphere, the season is probably past the halfway point and very few fans will become avid fans at the halfway point of the season. No one does that. The minor league fan is probably exactly the opposite of the college fan. The majority of those fans (80 percent?) attend the games because it is a “fun” atmosphere. It is warm, most games are played at night, they can bring the whole family (not a school night for the kids), and there is plenty of entertainment. The other 20 percent are probably there because they are diehard fans (loyal) to the organization or the team that is playing. In 2009, of the top 10 prospects from the state of Pennsylvania at the time of this study (may have changed in the following months), exactly zero of them went to play college baseball in Pennsylvania. If you grew up in the northern part of the country (which I did), it has long been thought that if you want to play big time college baseball, you have to go south to play (which I did). How, under these circumstances, are northern teams expected to compete with southern teams? The total budget for 53 games (30 road games/23 home games) is $172,200. The total number of missed class days is 13. Let’s examine the total scholarship expenditure that an athletic department has for a college baseball player, assuming that the athlete takes 5 years to graduate. For an in-state student, let’s assume that the total cost of his school is $20,000 for tuition, fees, room and board. Let’s also assume that he is on a 40 percent scholarship, which is just slightly below the average college baseball scholarship of 43 percent. In this instance, the athletic department will spend $8,000 per year in scholarship money. This scholarship most likely will go completely toward tuition and not have an impact on the athlete’s room and board costs. In addition, let’s assume that his degree program requires a total of 128 hours to graduate and he has averaged taking 13 credit hours per semester, which is realistic for a college baseball player in the current system, and he never takes summer school (he’s playing summer baseball somewhere). After his 4 years of eligibility, he has taken a total of 104 credit hours (26 hours per year for 4 years). After his 4 years of eligibility, he has 24 credit hours (2 semesters) left to graduate for a total of 128 hours (which should be enough to graduate). If the school has a 5th year scholarship program in which the athlete maintains the same scholarship that he had while he was an eligible player, he will continue to be on 40 percent for his 5th year. In this case, the scholarship expenditure for the athlete would be $40,000 ($8,000 per year for 5 years). Also included are the costs for an out-of-state student on a (40% scholarship). By playing college baseball in the summer, you can attract the 80 percent of the fans from the college game that are loyal to the school and the 80 percent of the fans from the college game that are there for the fun experience. The only fan you would lose is probably the college student (which is only a small percentage). Losing the college student would only slightly affect your total attendance, not your gate revenue, because they do not pay to attend a college baseball game anyway. There are very few college students that are attending minor league baseball games right now. However, if you are able to attract the 80% from both sides, the colleges eventually should not only have a huge spike in attendance, but eventually outdraw the minor league teams in the area. Remember, we are talking about the Big Ten Conference. The average home football attendance ranges from 27,000 (Northwestern) to over 100,000 (Ohio State, Penn State and Michigan). There are a huge number of fans out there that are loyal to the university that probably have never seen their favorite university’s baseball team ever play a game. Just imagine the possibility of an Ohio State/Michigan baseball series in the middle of June or July (raises an interesting facility issue). What if we did play college baseball in the summer? There are a number of factors that need to be considered from cost, academics/graduation rates, scheduling, the major league draft, the effect on summer baseball leagues, recruiting, the transfer rule and the well being of the student athlete (which should be considered first). Fall Practice. 20 hours/6 days per week, mandatory day off. 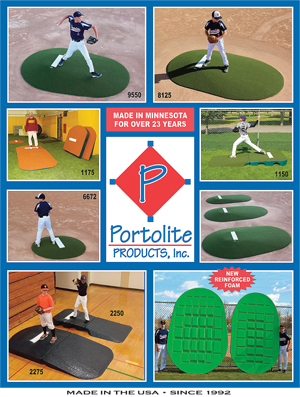 4 opportunities to play games (maximum 18 innings each). Games do not count on spring schedule and players who play in games are still eligible to be redshirted. With the new schedule, southern teams will not be able to attract northern teams to come and play games in the south in February and March without any sort of return trip. This will force schools to play a more regional schedule, which will cut down on missed class time. In the current system, it is not unrealistic for each student athlete from a northern school to miss up to 20 days of class in the spring semester. Having to play, on average, their first 15-20 games “below the line” forces each northern program to miss a week or so of classes in the first month of the season in addition to spring break. Also, with each weekend series being played on Friday, Saturday and Sunday, the travel day is in most instances on Thursday. If it is a bus trip, the school may elect to keep their players in class on Thursday and leave afterwards, but in the event that it is a flight, classes on Thursday may be missed as well. With the new schedule, missed classes in the spring semester would be a thing of the past (zero missed classes during the spring!!! ), which should lead to better academic success in the spring. Any missed class time with the new schedule would occur in the summer. If you look at the summer baseball schedule and compare it to the summer school schedule, you will notice that although there will be some missed class time, it will be much less. It should also be a lot easier to make up for a missed class in the summertime because if you miss a class in summer school, you are only missing one class. If you miss a day of school in the spring semester, in most cases you are missing 2 or 3 different classes. The fact that each school has tremendous academic facilities, study hall programs and tutors should enable the athlete to have enough support to more easily manage only one class. That is the reason that a lot of athletes take a summer school class in the current system, because it may be a tougher class that they elect to take in summer school so they can devote all of their attention to just that class. In addition, some summer school classes only meet 4 days a week (Monday through Thursday), which would really aid in not missing classes in order to play a weekend road series. If you compare the missed class time from a spring schedule to the missed class time in the summer, a significant difference takes place. Also, with the advent of internet courses, athletes may be able to take summer school without having to miss any classes. If that were to become an option, then an athlete could conceivably miss exactly zero classes in the spring, summer and fall semesters combined. Some schools may have to add online classes to their curriculum to accommodate the new schedule, but it seems that online classes are the wave of the future, and it would not be unrealistic for that to happen. Currently, some schools offer entire degree programs online. This proposed new schedule would feature a minimal amount of missed class time and reduced travel budget for cold weather schools. The total budget for 54 games (one extra game) is $133,600 (32 home games/22 road games). A savings on the travel budget is $38,400 ($172,000 minus $133,600). Keep in mind that these figures are for a $300 flight, only getting 15 rooms, and $25/day in meal money, and $200 per game for umpires (all of which are outdated, which equals even greater cost savings). The total number of missed class days is 1 (with the possibility of zero). The season consists of 52 games (13 weekends). Keep in mind that you played perhaps 4 doubleheaders in the fall when the weather was the best. Teams can match up the last weekend in April or the first weekend in May surrounding exam schedules to accommodate each other. The College World Series will be concluded prior to the beginning of when most colleges begin their fall semester, which is usually around August 24th. Also, each student would be required to complete a summer school class in each summer term. The main advantage is for the well being of the student athlete. In the present system, the athlete has very little time or opportunity to live life as a student without the rigors of a year round athletic schedule. With the new schedule, the athlete can enjoy the months of November and December with very few athletic requirements and also January and February when the weather would not be considered baseball weather in most parts of the country. The new schedule would also run concurrent to the schedule of a professional baseball player, with time off from October to late February/early March, which would prepare our kids better if they do get drafted and sign. It would also be a great opportunity to get off to a great start academically in the spring semester and have more time to devote to final exams in the fall semester. The advantage of the new schedule on academics would be that student athletes would have a much better opportunity to graduate in 4 years. The average requirement of a college major varies from 120-130 credit hours. There are several instances in the current system where athletes who are attending school out of state elect to return to an in state school once their eligibility is exhausted because the in-state school is a lot less expensive. The amount of scholarship money they receive in their 5th year at their current school is either less of a scholarship than they’ve been receiving or there isn’t any available at all. Not every university has the advantage of giving their 5th year athletes a sizeable amount of aid in that year after they have exhausted their eligibility. When asked, about half of the schools said that they give all of their 5th year athletes the same scholarship and half said not all of the 5th year athletes receive the same scholarship. When that athlete elects to leave and graduate elsewhere, it goes against retention and graduation rates, therefore affecting the schools APR, which is the major issue facing college baseball today, not to mention the fact that the most college baseball players get very little enjoyment out of being a 5th year student with no eligibility remaining. 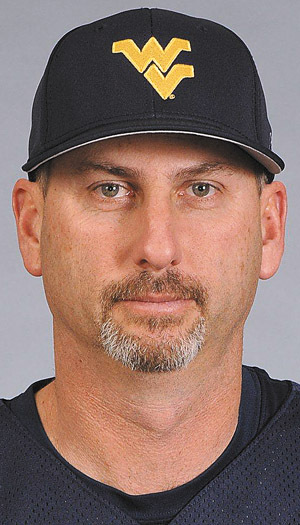 This is the first of a two-part series on Randy Mazey’s research into the change of season issue for college baseball. 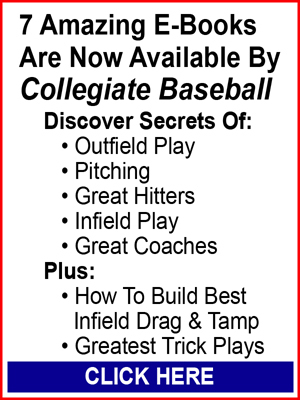 This story appeared in the April 4, 2014 edition of Collegiate Baseball. 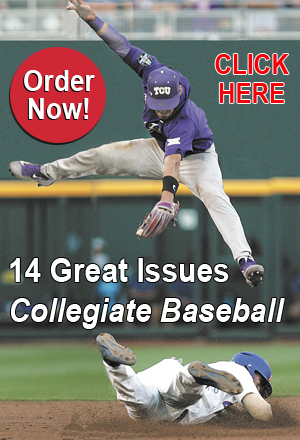 To read the second part which delves into increased revenue, scholarship savings, summer collegiate leagues and summer housing for athletes, purchase the April 18, 2014 edition of Collegiate Baseball or subscribe by CLICKING HERE. A very sound, educational, and feasible model that deserves serious study by people in charge of college baseball. “This the always way we’ve also done it” rings hollow if anyone is defending the fairness of the present system.